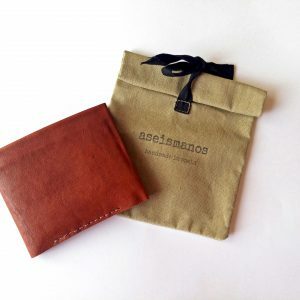 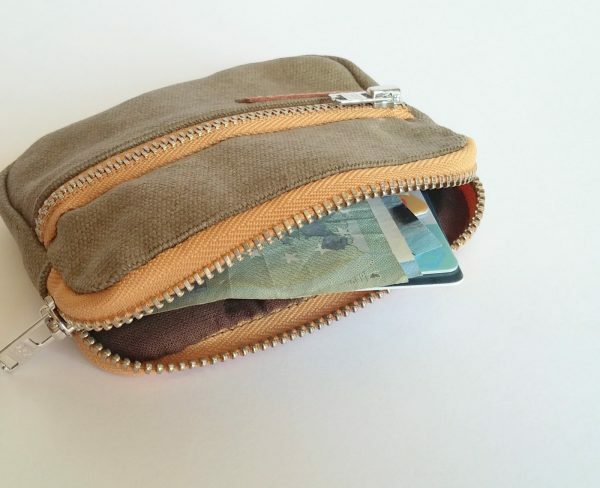 Olive waxed canvas pocket wallet. 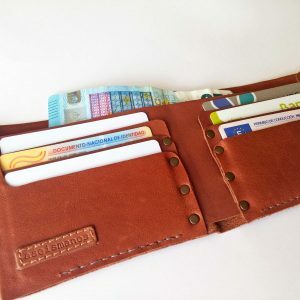 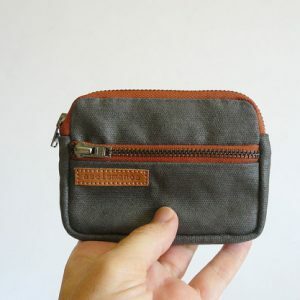 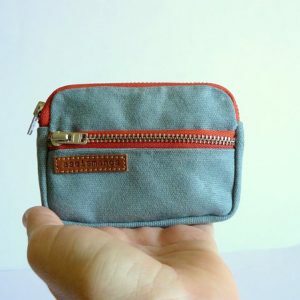 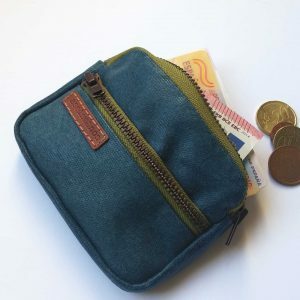 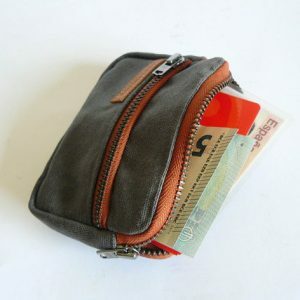 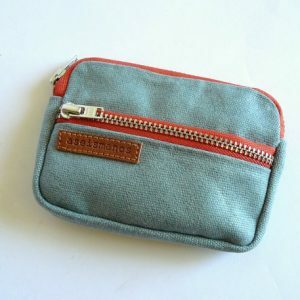 It has a main central section and a external small zipped pocket for cash. 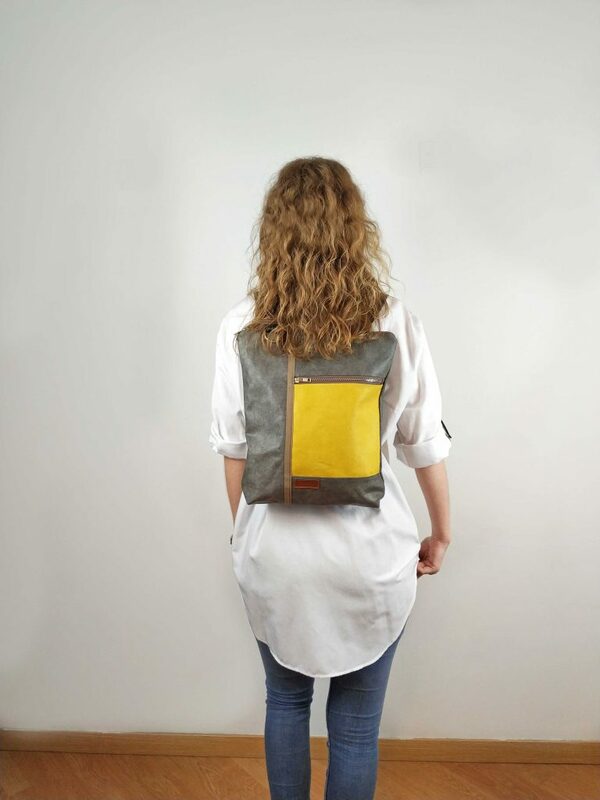 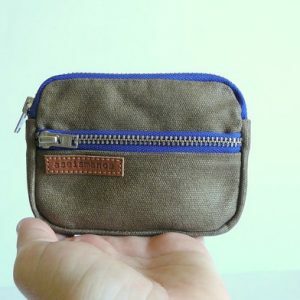 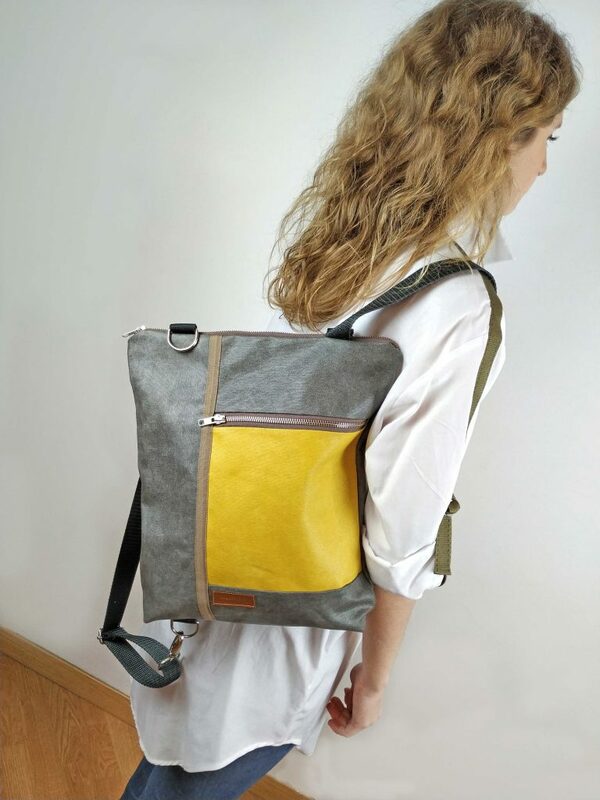 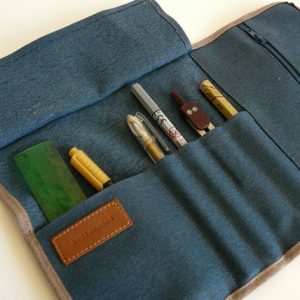 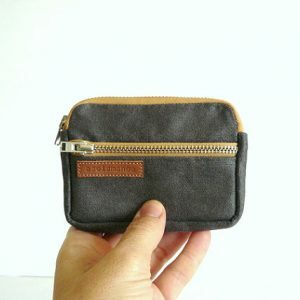 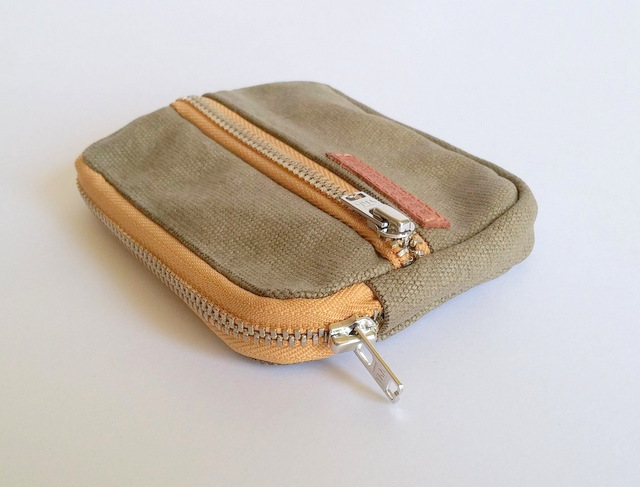 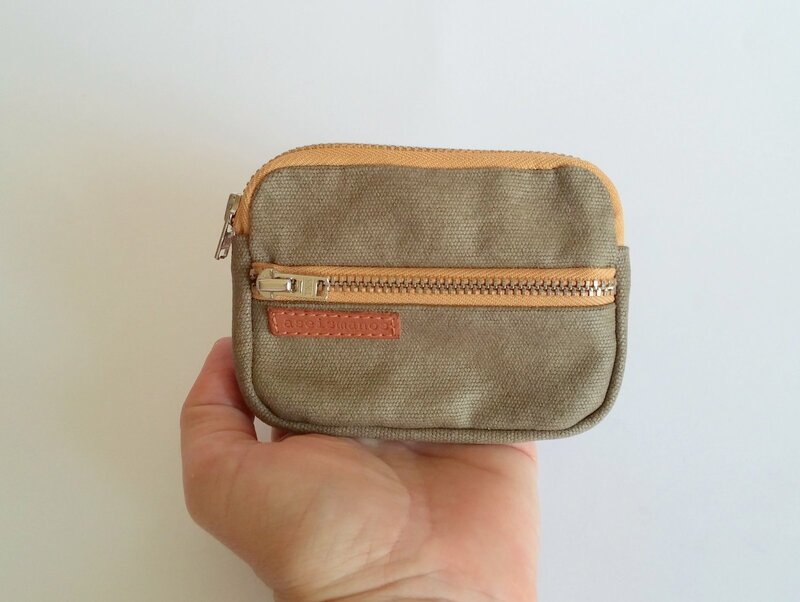 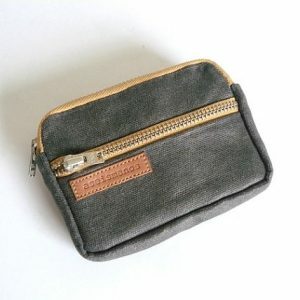 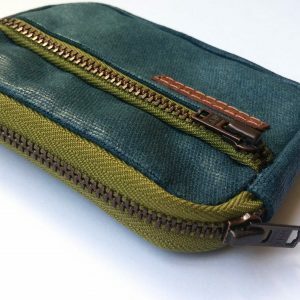 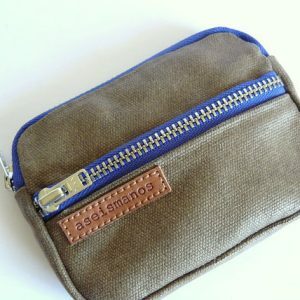 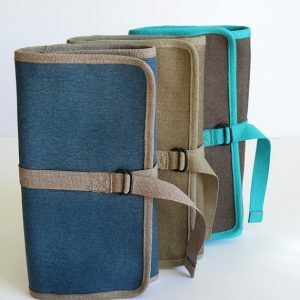 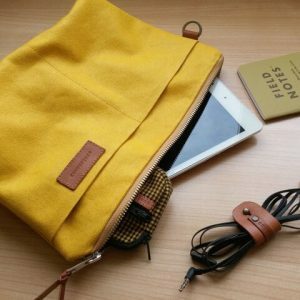 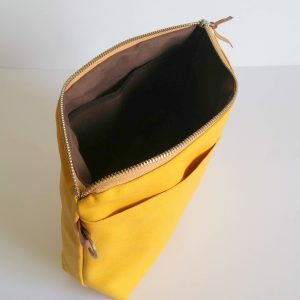 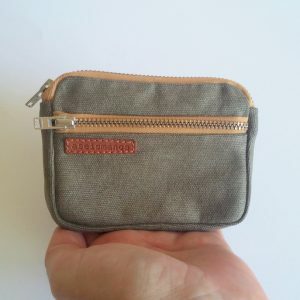 It’s made of waxed canvas with 2 natural metallic zippers.